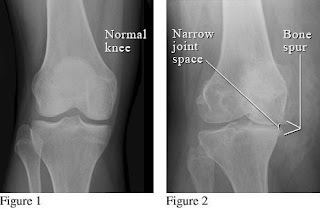 Findings on X-Rays Correlating to Knee Pain? A Blow to Pain Science? When critically looking at this study, or any study, we need to keep a few general things in mind that are critical to any good analysis of what research might be telling us and what it does not tell us. First, always remember one of the hallmarks of correlational studies: Correlation does not mean causation! Just because two things are correlated (pain and radiographic findings), it does not mean that radiographic findings of OA cause pain. Second, no one study can prove anything. Research is meant to falsify things not prove things. One study can show us something is not true (i.e. falsify), but it cannot definitively prove something is true. We all love to pick a study “to prove” we are right, can we say “hello confirmation bias”. We need to look at the body of literature (multiple studies) to help us come to a more correct or probably stated better a less wrong conclusion. So how do I interpret this study? We know this study conflicts with some other studies that have shown only moderate correlation with radiographic findings of osteoarthritis and pain as they point out in their introduction (see references 2-6). This tells me this topic (pain and knee arthritis correlation) is obviously not a black and white answer. Welcome to research and uncertainty, I will touch on this at the end of the post and what that might mean for clinical decision-making. I think this study did find similar results with other studies (this means it strengths the chance of the conclusion being true) that mild levels of arthritis have a moderate correlation with pain. As you look at the confidence interval of the lowest levels of the Kellgren and Lawrence grade the range is on both sides of 1.0 so there is no correlation. However, the higher the KL grade the increase in the correlation of knee arthritis findings and pain. Notice though even with the higher correlation scores at KL grade 4 there was still a large range in the 95% confidence interval (this is the range number in the parentheses) which tells me there is a low level of precision with the odds ratio. Large ranges are common with small data sets – this data set had over 1,000 subjects, not so small, so again more uncertainty. This is a case that while findings are significant according to the p-value, the effect size tells another more important story we need to pay attention to. Remember pain neuroscience tells us tissue information is some of the input in to the brain, but tissue information is never a sole pain generator. So what does this mean for me clinically? This gives me information to share with a patient that should help them decide on treatment. If the person has low levels of arthritis, I can tell them there is no correlation with the radiographic findings and pain. So if they are worried about the pain, the radiographic information is not very useful to use in deciding treatment direction. The more the radiographic findings show more significant osteoarthritis the more likely the arthritis we see is associated with the pain they are experiencing, but even then, it is not a pure black and white answer. We could say it is a bit more complex, which is usually the case when it comes to pain. Some patients scored at the highest level of osteoarthritis and had no pain. Remember pain neuroscience tells us tissue information is some of the input in to the brain, but tissue information is never a sole pain generator. All of this is important information to share with a patient to assist in decision-making on treatment direction. To finish lets go back to research and uncertainty. I think many look to research to add certainty to their decisions they make in the clinic. While research should direct us to make better decisions, decisions that are less wrong. We live in a very complex and inter-related world and research cannot answer all the questions that are out there, yes uncertainty. So how does a clinician make decisions for their patient, if they cannot be certain? Maybe we should not be making the decision; maybe it should be the patient making the decision after we fully inform them of everything? Okay your turn: What is your take on the study and who should make the decision on treatment - the clinician or the patient? – What say you?